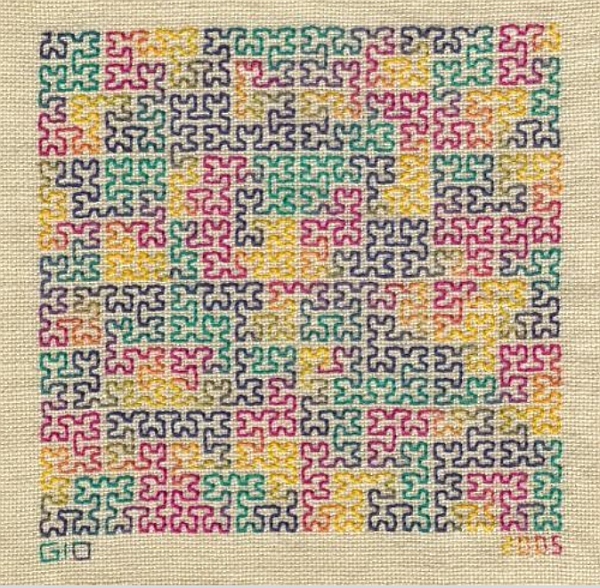 Continuing our fiber arts theme of past weeks, today’s Math Monday offers an excellent example of mathematical needlepoint. This piece illustrates a Hilbert curve, taken to the sixth approximation. The continuously changing color of the thread makes it easy for your eye not to lose its place as you follow the long path that starts at the top-left and ends at the top-right. 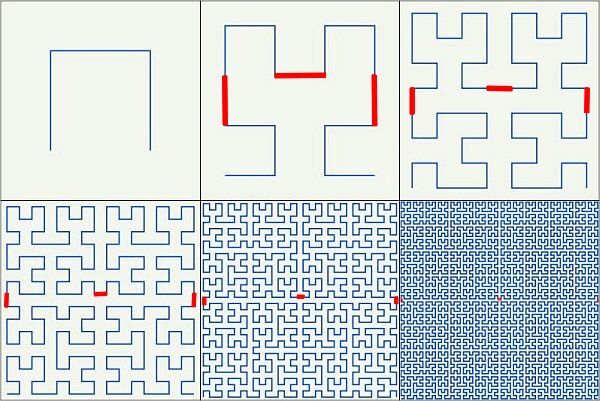 If you want to embroider your own Hilbert curve, you can work up to this level starting with any of the simpler patterns below. Each level consists of four copies of the next simpler approximation plus three connecting stitches, highlighted below in red. The nth version has 4n-1 visible stitches, so the sixth order approximation above shows 4095 stitches, and that doesn’t include what’s on the back. The maker, Gio, must be very patient. This article first appeared on Make: Online, August 30, 2010.